Adoption is a lifelong process with significant, ongoing emotional and psychological impacts for everyone involved - adoptees, birth family members, and adoptive family members. A list of issues commonly experienced by members of the adoption constellation were summarised as the "Seven Core Issues in Adoption" by therapists Sharon Kaplan Roszia and Deborah Silverstein (1986): Loss, Rejection, Guilt and Shame, Grief, Identity, Intimacy, and Mastery/Control. Identifying and acknowledging these issues can put words to complex experiences and enhance dialogue within the adoption constellation. 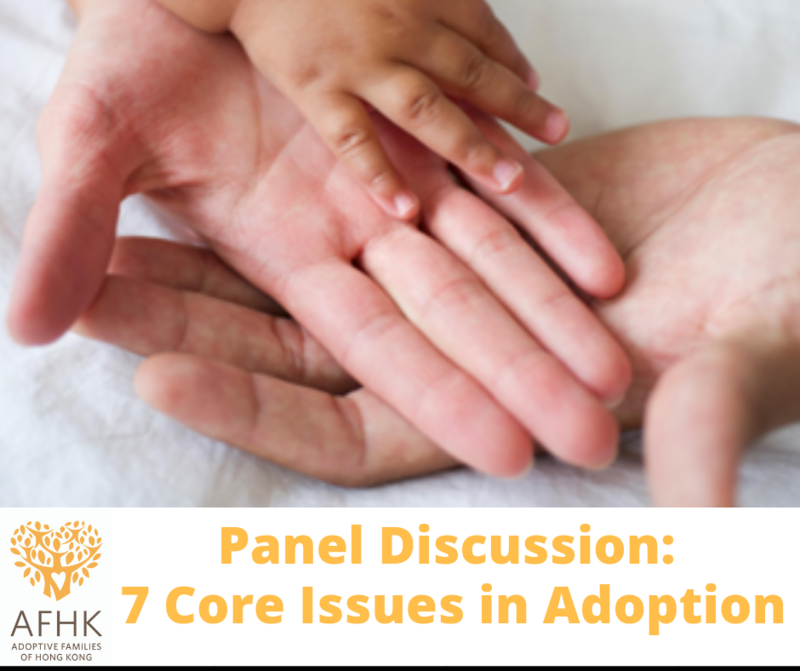 How do the seven core issues play out for adoptees and how do various developmental and life milestones intensify these issues? We'll be joined by a panel of adult adoptees sharing their personal experiences of how they are impacted by these aspects. This discussion will be led by adult adoptee and educator, Jenny Wiseman. Jenny was born and raised in Australia in a transracial family, and now serves on the AFHK Steering Committee. She has experience giving presentations in the workplace and community, and was an educator previously at an international school. She and her husband are expecting their first child soon. This event is open to all parents and caregivers, extended family, friends, and domestic helpers, waiting and prospective parents, adult adoptees, professionals and students. 145HKD for non-members or lapsed members (or click here to join/renew your AFHK membership and attend this event for the member's rate of 170HKD).